Ludwig Wittgenstein’s (1889-1951) Tractatus Logico-Philosophicus is arguably the most important text of twentieth-century philosophy. Published in German in 1921 and in English the following year, the work profoundly influenced a whole generation of philosophers. It concerns the relation between the logical structure of our statements and thoughts about the world and the world itself, and it argues that philosophy’s traditional problems arise from misunderstanding that relation. 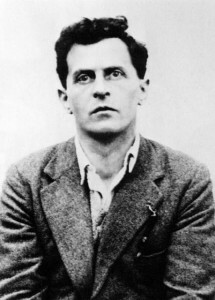 The Tractatus’ most striking textual feature is its complex decimal-numbering system: Wittgenstein assigned to each proposition a unique number–sometimes extending several decimal places (e.g., 1, 2.1, or 5.47321)–and he ordered them so as to indicate their relative logical importance and interrelations. As he explained, “The propositions n.1, n.2, n.3, etc. are comments on proposition no. n; the propositions n.m1, n.m2, etc. are comments on proposition no. n.m; and so on” (1922: p. 5, f.n.). While the decimal-numbering system plays an important role in expressing Wittgenstein’s thought, it often makes reading the work difficult: A reader must flip through multiple pages to only partially perceive the work’s remarkable structure. My project aims to digitize Wittgenstein’s Tractatus in order to make manifest that complex and intricate structure. The result will be an interactive, searchable, dynamic, socially embedded, and aesthetically valuable online, electronic version of the text. Users encounter seven nodes, each representing one of the seven primary propositions of the work. When a user hovers over a given node, its associated text will appear on the screen. By clicking on a node–e.g., proposition 1– the associated nodes–e.g., 1.1, 1.2, 1.3–will appear by branching out or expanding to another level. Users can employ any of three versions: the original German text, the English translation by C.K. Ogden (1922), and the English translations by Pears and McGuinness (1961). eTLP will also provide a platform for a user-maintained database of node-specific commentary, cross-propositional references, and bibliographic information on relevant secondary literature. eTLP will thus be a new and valuable tool for Wittgenstein scholars all over the world, and it will likely introduce the text to a whole new generation of readers. As a real experiment in the art visualizing data, designing interfaces, and applying digital technology in the humanities, eTLP will be a twenty-first- century expression of one of the previous century’s most important philosophical works.